First of all, is New Orleans a solo friendly city? Many of us at Astrid Solo Travel Advisor have said time and time again that we truly believe New Orleans is a great city for solo travelers. It’s walkable, public transportation is easy to navigate, there are a plethora of activities to suit any personality, the food is incredible, and the people are friendly. While I have never felt unsafe in New Orleans, I do believe that it is important to be aware of your surroundings at all times and stay in well-populated areas, especially at night. Anyone visiting New Orleans should take extra caution when exploring the city after nightfall. That being said, there are a number of after-dark activities to partake in that are both safe and fun, and many of them don’t involve any alcohol – unless you so desire. The Ace Hotel: A Warehouse district gem with a laid-back rooftop pool and bar, Alto. 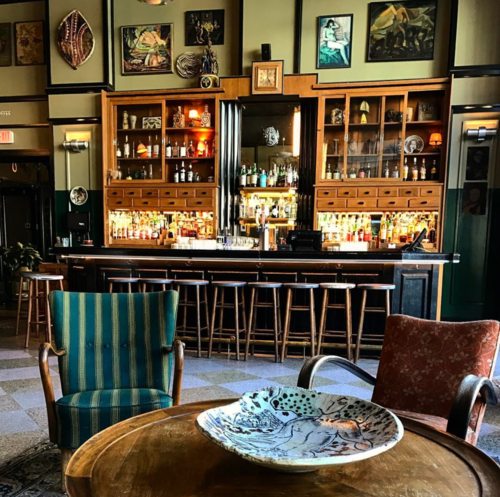 The Pontchartrain Hotel: A Garden District icon that houses a cafe, hip restaurant, and prohibition-inspired rooftop bar, Hot Tin. The Hotel Monteleone: A Downtown splendor. This hotel is absolutely beautiful, and its Carousel Bar is an absolute can’t-miss stop for any traveler. 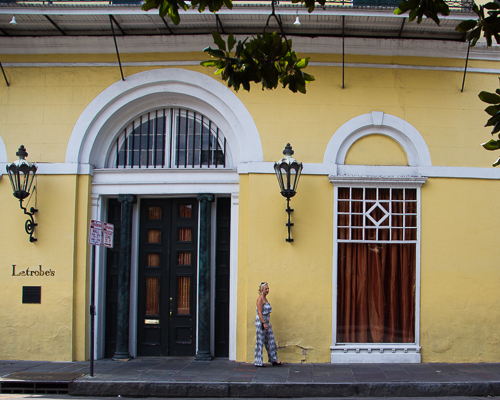 To see our list of the best hotels in New Orleans for female solo travelers, click here. Note: You do not have to be a guest of any of these hotels to visit their bars. Each one is open to the public! While the street car, pedicabs, bikes, and your own two feet are great modes of transportation in New Orleans during the day, come nightfall, a cab or Uber/Lyft is probably the safer option. Important safety tip: If you are getting into an Uber/Lyft, make sure the make and model of the car picking you up matches the description on your app. Ask the driver for their name, and make sure it matches the one you have. Once you’ve decided where you’re staying and how you will get around, you can start planning your activities. The New Orleans Opera puts on a number of regular performances throughout the year at various theatres throughout the city. They also host free “Opera on Tap” performances every Wednesday night at one of three different bars/lounges across the city. With the option to see Broadway Plays in New Orleans or musical performances produced by Loyola University, the number of ways to enjoy the performing arts are vast and diverse. 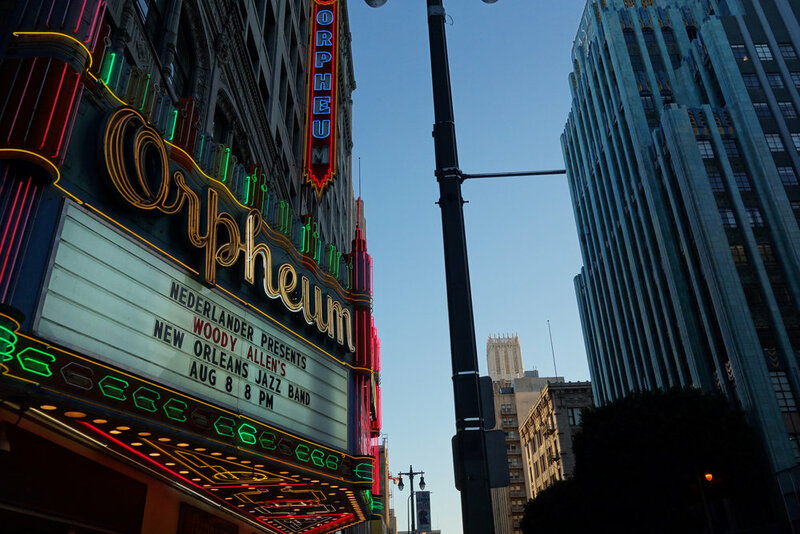 From intimate gatherings by local bands at restaurants across the city to mid-size concert halls like the Joy, Orpheum, and Saenger Theaters, to colossal productions by major stars at the Smoothie King center, there are plenty of opportunities to attend a concert in New Orleans. New Orleans Theater has great break down of all theatrical performances coming to New Orleans in the near future. New Orleans Saints running into the Superdome. Photo by Todd Martin via flickr. Even if sports aren’t really your thing, attending a sporting event in New Orleans is always a great time. Simply observing the other attendees and fans is enough to keep you entertained. Local New Orleanians are especially passionate about their Saints (read our guide to attending Saints games here), but there’s also the MBA team, The Pelicans, and the local minor league baseball team, The Babycakes. If you have any interest in the ghost stories and lore surrounding New Orleans, what better way to get in the spirit than by taking nighttime French Quarter tour? (Click here for a list of some of the most haunted places in the French Quarter.) The mule-drawn carriages congregate in front of Jackson Square; use your better judgement and pick a tour guide that looks like they might be into the spirit, or reserve a French Quarter ghost tour in advance through Royal Carriages. If visiting on the weekend, NOMA is open from 5 – 9 p.m. every Friday night. The museum hosts local musicians, speakers, curators and artists, provides activities, and hosts special performances for community enjoyment. 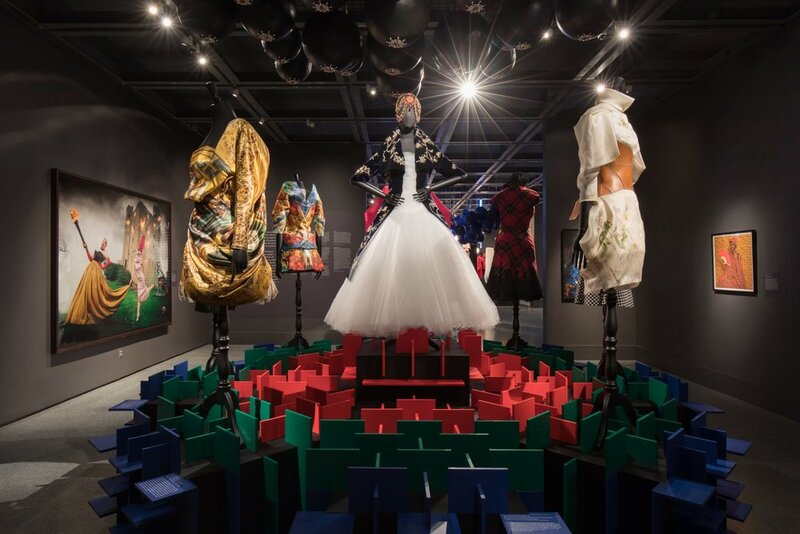 Visiting one of New Orleans’ many museums should definitely be on your list when visiting the city, and Friday nights at NOMA is a unique way to squeeze in a visit to one of the cities many phenomenal galleries. Working out might not be the first thing that comes to mind when you think about things to do while on vacation, but staying fit and active is an important factor in staying healthy while traveling. Especially if fitness is already part of your daily routine, sticking to your fitness regimen will give you a sense of regularity and will likely leave you feeling refreshed and ready to tackle the next day. Your time spent away from home might also be the perfect time to try out a new kind of fitness. The New Orleans Boulder Lounge is open until 10pm on weekdays, and they even offer periodic nighttime yoga classes. In addition, there are plenty of yoga studios around New Orleans that offer evening yoga classes. NOLA Tribe Yoga even hosts a $5 weekly yoga class at The Tchoup (pronounced chop) Yard, a local outdoor bar, so you can really earn that cocktail. There are plenty of hideaways on Magazine Street and a number of cool hidden gems in the Bywater like the backyard blues party happening at Bacchanal or the chic French hangout N7. There are a few very nice places to hang out downtown including the swanky Davenport Lounge inside the Ritz Carlton or the gorgeous Carousel Bar in the historic Hotel Monteleone. Don’t be afraid to relax and let loose, simply drink moderately and responsibly. One final tip: No matter where you go or what you do, don’t stay out too late. As my mother, and probably yours, always said: nothing good happens after midnight. Explore more blog posts on things to do in New Orleans below and feel free to contact us with any questions you might have! What are your favorite things to do at night as a solo traveler? Let us know in the comments below!